Nintendo fans that have access to a 3D printer may be interested in a new project created by YouTube user “bbtinkerer” for a DIY Nintendo Classic Advantage Controller. 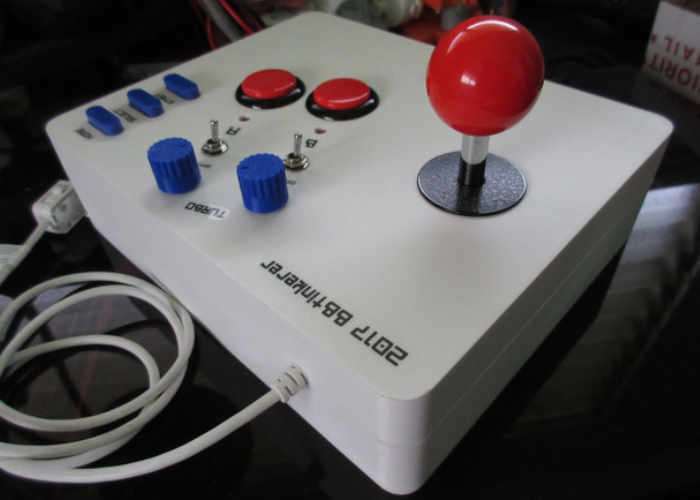 Watch the video below to learn more about the development and construction of the iconic controller which uses an Atmega328P microcontroller to mimic a Wii Classic controller. DIY Nintendo Advantage inspired controller is good for playing games with the Nintendo Wii also but only for classic NES two button games. A Nintendo Advantage inspired controller to use with the NES Classic Edition (http://www.nintendo.com/nes-classic/) also known as the Nintendo Mini. This project is based off of the Wii RetroPad Adapter project by Bruno Freitas. The controller emulates a Nintendo Classic controller but without the X/Y/L/R buttons and analog sticks. The home button allows you to return to the menu screen to save states or change game as opposed to pressing the reset button on the console. All the source code and files you require have been uploaded to the GitHub website available via the link below.